LOS ANGELES - Oct. 22, 2018 - PRLog -- The United Premier Soccer League (UPSL) will have 14 clubs playing for the opportunity to earn a spot in the 2019 Lamar Hunt U.S. Open Cup. Teams from seven different UPSL Conferences had victories the weekend during Qualifying Round 2 (Oct. 20-21) for the 2019 U.S. Open Cup, and will move on to Qualifying Round 3 scheduled for Nov. 17-18. United Premier Soccer League National Director Paul Lapointe said, "Let it be written and let it be known that the UPSL supports inclusion for all of its team owners to participate in as many events that expose the value of owning and supporting Pro Development soccer in the United States." Safira FC, the Massachusetts State Amateur Champion, got an opening goal from Thiago Teixeira to get past Boston City FC 2 (USASA), and now will play GPS Omens (USASA) in Qualifying Round 3 for a spot in the 2019 Lamar Hunt U.S. Open Cup. In South Carolina, Soda City FC continues to forge a path as the first Pro Development club from the Palmetto State to reach the U.S. Open Cup, and now will plays at America Soccer Club (UPSL) next month. 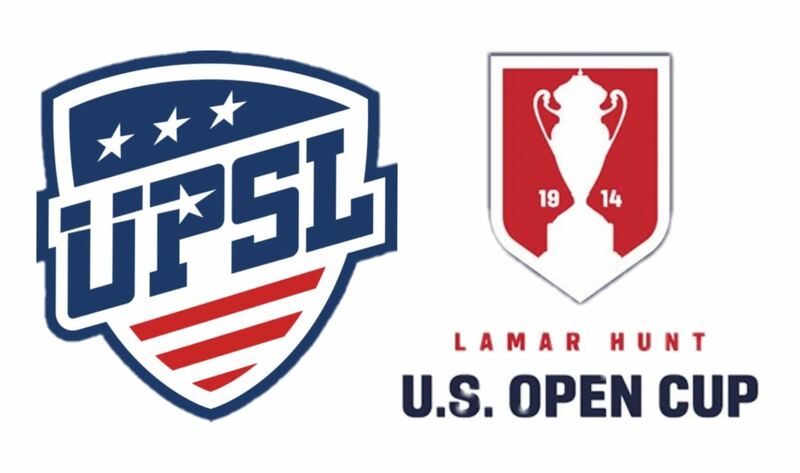 Three UPSL clubs – Hurricane FC, America Soccer Club and Florida Soccer Soldiers – are the only three Florida-based Pro Development clubs remaining in open qualifying for the 2019 Lamar Hunt U.S. Open Cup. America SC edged Central Florida FC Spartans (USASA), 2-1, and now will host Soda City FC (UPSL) the weekend of Nov. 17-18. Hurricane FC put on a scoring display in a 4-0 victory Sporting Orlando SC (UPSL), and now hosts Florida Soccer Soldiers, the UPSL 2018 Spring Season Southeast Conference champions and a UPSL 2018 Spring Season National Semifinalist, with a spot in the U.S. Open Cup on the line. In Missouri, St. Louis FC Maritsa used a stoppage-time goal to edge FC Minneapolis 4-3 at the Lions' UPSL home at Parkway North High School, but now must travel to Michigan next month to play Livonia City FC (USASA) in the third round of qualifying. El Paso (Tex. )-based Southwest FC with pulled a surprise 4-1 victory over Sporting AZ FC, and now hosts Utah's San Juan FC, which went Idaho and pulled off a 4-3 win at Boise FC, in the next round. Only two Pro Development clubs remain Colorado as the UPSL's first-time entrants, GAM United FC, play Open Cup veterans FC Denver in the state capitol for the chance at the tournament proper. In Southern California, Cal FC topped Outbreak FC (USASA) and now plays host to the UPSL's undefeated 2018 Spring Season SoCal Division regular season champions, California United FC II in Calabasas (Calif.). Santa Ana Winds FC is a victory away from reaching the U.S. Open Cup for the second consecutive season when it hosts Buena Park FC (USASA) next month at Lake Forest (Calif.) Sports Park. Further up the West Coast, Oakland Stompers doubled up on Real San Jose (UPSL) and now will host Academica SC (USASA) at Raimondi Park, while JASA RWC's 3-1 win over Napa Sporting SC (UPSL) earned the Redwood City (Calif.)-based club a trip to Portland (Ore.) to play IPS/Marathon Taverna (USASA) for its first Open Cup berth. In all, Qualifying Round 3 will feature four all-United Premier Soccer League matchups, with the possibility of as many as 10 UPSL clubs qualifying for the 2019 Lamar Hunt U.S. Open Cup. The UPSL was formed in 2011 and currently includes more than 300 teams in Alaska, Arizona, California, Colorado, Florida, Georgia, Idaho, Illinois, Indiana, Iowa, Kansas, Massachusetts, Michigan, Minnesota, Missouri, Nebraska, Nevada, New Hampshire, New Jersey, New Mexico, New York, North Carolina, Ohio, Oklahoma, Oregon, Pennsylvania, Rhode Island, South Carolina, South Dakota, Texas, Utah, Virginia and Wisconsin. UPSL is the fastest growing Pro Development League in the USA, with 400-plus teams targeted for 2019 Fall Season. Each UPSL team is individually owned and operated, and is responsible for maintaining either UPSL Pro Premier Division or Championship Division minimum standards.